One exception to the rule, though, has developed in the last few years: The amount of information available to us is practically unlimited. Open your internet browser, and most of that information is just a few clicks way. But if media industry profits (or lack of them) are any indication, demand for that information is anything but infinite. One problem with information is that much of it is biased. I know, for instance, that when I read a certain economist commenting on recent data, he is going to put a spin on it that reflects the particular economic soapbox he prefers to stand upon. And while I will occasionally take time to read such people, just to kind of keep up on “influencers,” they often don’t really add much to the conversation. Back to the main plot line. What is scarce isn’t information itself (we’re all nearly drowning in it) but the ability to process it into something useful. All of us, including me, are still figuring out that part. And the creation of really valuable information takes time. I have had a vivid demonstration of that fact myself these last few weeks as I try to launch a new business and prepare for the upcoming Strategic Investment Conference. You cannot believe how much personal preparation goes into talking with every one of the speakers and figuring out how to blend their ideas so that something coherent emerges from our shared experiences at the conference. And then there are the challenges of keeping up with my regular writing and research andputting in the many hours it takes to be a dad and granddad, always in the middle of a crisis or two. Life is what actually happens after you make careful plans. My own particular approach to drinking from the enormous information firehose has a couple of key features. First, be a connoisseur of good information sources. I hope that for you I am a trusted and reliable source. I do my best to deserve the precious time that you devote to me. Second, depend on trusted colleagues and associates to pre-process information for you. Let me give you an example. It’s just one out of what could be dozens, but I think it’s a good illustrative choice. High among the sources who keep me reliably up to date and surfing (rather than drowning in) a flood of information is Peter Boockvar, a man whose ability to process raw financial data and quickly transmute it into intelligible, digestible pieces is superhuman. I honestly don’t know how Peter does what he does, but it’s awe-inspiring and very, very helpful. Today I’m going to share a small sample of Peter’s daily output. Below are three articles he published on one day – Thursday, May 11, 2017. And he does this every day, week and month and year in and out. He never fails to make cogent, interesting points about the day’s events. Think about the brainpower it takes to generate this sort of creative output every working day. Then, if you’re at SIC, shake Peter’s hand and tell him “Thank you for keeping John sane.” You might even share a drink with him and soak up a little wisdom. I work hard to encourage all my speakers to make themselves available to the attendees at the conference. Take advantage of that. Here are Peter’s three pieces for May 11. I’ll be back afterward with a few more thoughts. In case you missed his comments yesterday, Boston Fed President Eric Rosengren, a currently non voting member, has really done a 180. I always considered him a card carrying bleeding heart dove and now he is one of the most hawkish members of the Fed. It’s the reverse of ex member Narayana Kocherlakota who went the exact opposite route and embraced zero rates and was jealous of the Europeans who went negative. Rosengren yesterday said he wants to hike rates three more times this year and start tapering after the June meeting. He fears the economy is overheating which is ironic after a 0.7% Q1 GDP print but his point is more on the labor side as he realizes the hole they are now in with the labor market continuing to tighten, the unemployment rate continuing to fall and the Fed is sitting there with its benchmark rate of just 0.875% at the same time their balance sheet is still at emergency levels. Also highlighting the tug of war I’ve talked about all year between hoped for fiscal reform and its tailwind vs the headwind of monetary tightening, Rosengren said the more fiscal stimulus we see, the more monetary tightening we will get as well. Bottom line, of course this is just his opinion and he doesn’t vote and it only matters what the troika thinks but if his line of thinking, coming from an ex dove, starts to permeate, watch out. That said, I don’t expect Yellen to adopt Rosengren’s stance as it’s just not her nature. We’ll most likely get two more hikes and a December announcement on quantitative tightening. In fact, Bill Dudley today essentially told Rosengren to reign it in as he said “there is no great urgency for Fed to tighten aggressively” and he used that word ‘gradual’ again. He also said that they’ll look at QT later this year or in early 2018. Another noteworthy comment from Dudley was after taking its balance sheet from under $1T to $4.5T he said there is “a lot of uncertainty over how much QE depressed rates.” Funny. After the BoE left policy unchanged they hinted at a possible rate hike and warned markets not to be so nonchalant about current policy staying the same. As it was sort of a lame warning, the pound is down and gilt yields are little changed. They also raised their 2017 CPI forecast to 2.7% from 2.4%. What’s keeping the BoE from at least taking away the emergency rate cut after Brexit? They said that their economic forecasts “rely on pickup in wages that had yet to materialize.” I argue they have it backwards. If they cared more about controlling inflation and the plunge in the pound, we’d by definition see a pick up in real wages. Mark Carney in his press conference said “it will be a more challenging time for households.” Well, he’s partly responsible for that with his emergency monetary policy that is crushing wage earners, savers and pensioners while inflation flares. With a straight face he also said that “BoE stimulus isn’t excessive, it’s appropriate.” Appropriate for what? Armageddon? Their balance sheet has never been bigger, they’ve partly nationalized the corporate bond market and their benchmark rate sits at .25% with 10 year inflation expectations at 3.10%, actual consumer price inflation approaching 3% and wholesale input prices seeing near 20% growth. Evidence that Mark Carney is getting stuck in a stagflationary type environment, March industrial production in the UK fell .5% m/o/m after an .8% drop in February. The estimate was down .4% and the y/o/y gain slowed to 1.4% and was driven by a slowdown in manufacturing. Initial jobless claims totaled 236k, 9k less than expected and compares with 238k last week. As a 234k print dropped out, the 4 week average was little changed at 244k. Continuing claims, delayed by a week, fell another 61k to the lowest level since 1988. See chart. Based on this visual, we historically have had only one way to go from here and it also highlights how far behind the 8 ball the Fed is and how much they missed this rate hike cycle. Employers continue to be reluctant to fire employees as its tougher to find good ones and they have high hopes for a tax and regulatory driven acceleration in growth. Producer prices rose more than expected at all levels. The headline gain was .5% m/o/m, more than double the estimate of up .2%. The core level was higher by .4%, twice the estimate and also taking out trade saw prices spike by .7% vs the .2% forecast. The y/o/y gains for all three was 2.5%, 1.9% and 2.1% respectively. It was mostly the services side of the equation that drove the upside as the BLS said it contributed to 2/3 of the rise. Within this they said that 25% was “attributable to prices for securities brokerage, dealing, investment advice and related services which increased 6.6%.” I thought those prices are falling but whatever. They also cited higher prices for “guestroom rental, loan services, machinery equipment, parts, and supplies wholesaling, portfolio management, and airline passenger services.” On the goods side, cigarette prices was a main driver as they rose 2.2% while prices for food, natural gas and pharma products rose as well. Bottom line, the demise of the inflation trade is a bit premature. To highlight in the commodity space, the Journal of Commerce index which I continuously refer to is down just 4.5% from its February high which comes after rising by 18% y/o/y. Also, services inflation is sticky and doesn’t just fade away. This said, the markets care more about CPI which we will see tomorrow. Rent growth is slowing and might keep a lid on it as housing makes up 40% of the index. The US 10 yr yield is unchanged on the day but up 1-2 bps from just before the number came out. European sovereign yields also moved higher. We have a hat trick of weak Treasury auctions this week as the 30 year bond offering was soft. The yield at 3.05% was about 1.5 bps above the when issued. The bid to cover of 2.19 was below the one year average of 2.30 and dealers got stuck with almost 36% of the auction vs the 12 month average of 29%. Prices and yields are not responding as it’s likely explained because the supply is now done for the week and prices adjusted all week. The 30 yr yield today stands at 3.05% vs 2.98% last Friday. The 10 yr yield is up by 5 bps and the 2 yr is higher by 3 bps on the week. With insurance companies and pension funds typically heavy buyers of 30 yr paper, it’s not as an effective measuring stick of market sentiment compared to the 10 yr and the short end auctions. The recent uptick in yields seems more in response to the rise in Europe post French vote than any positive feel on US economic data. The US Citi Surprise index sits today at -19.2 from -18.2 last Friday. John here again. All that was just ones day’s output for The Boock Report. But it’s not simply the length – these are relatively short articles. It’s more the density. You could spend hours teasing out all the implications of Peter’s analysis. Spending hours on this sort of analysis is exactly what most people shouldn’t do, of course. Certainly not every day. It tends to have a kind of paralyzing effect. With Peter’s help I can spend 5–10 minutes and understand all the key data flow that’s happening on a given day. And he does this every day. And has been doing it for years. He has an encyclopedic knowledge of the detail behind every bit of data that comes out. What makes me particularly lucky is that I have at least a dozen Peters in my life. I have become friends with most of them over the years, and they are my “distillers” of information. Then there are another dozen or so writers that I read for their thoughtful insights. They too have a keen understanding of how data translates into real-world developments. There is a lot of knowledge available out there, but wisdom – really good thinking – is a rare commodity. And then, too, the project of researching and writing a book on what the world will look like in 20 years has been an enormous help for my thinking. The project has become something of a fetish for me. I really am compelled to get a grasp on how things are changing. Let me tell you, my views on how the future will develop have changed over the last five years, and not all for the better. I’m increasingly concerned about what I’m calling the Great Reset. I see my role, as it has developed over the years, as a processor of information who shares an in-depth and hopefully authentic view of “what it all means.” And by authenticity I mean that I’m trying not to spin the data or use it to promote some particular worldview.. I do, of course, have my own evolving worldview, and it does show up here and there in these letters, but I try to make sure that I’m reading and talking and thinking on as many sides of the issues as possible. I try to take all the information that comes at me from the firehose and intuit how it’s all connected. I often have friends tell me that one of the things they like most about my writing is how I pull together so many sources and introduce them to so many new ideas and people. In addition to the sources I’ve mentioned above, there are perhaps another half dozen people whom I have come to respect over the years as connoisseurs and conduits of information. When they send me something to read, I pay attention. Can I always get around to reading what they send? No, but I try hard. Because the world is getting more and more complicated, and finding that wisdom, that sensible path forward, seems to be getting harder. My job is to try to make it easier for you. Yes, “drinking from a firehose” is a pretty good metaphor to describe the information flows hitting investors today. Get an inch too close and the pressure will blow your head off. 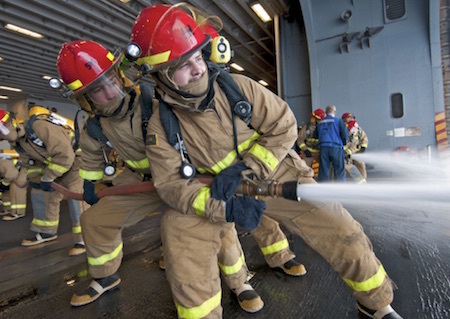 But here’s the thing: You really, really need a firehose in certain situations. Most houses, most of the time, are not going up in flames. But if yours is, you want a firehose on the scene as fast as possible. By analogy, most days in the financial markets don’t require any action from most investors. But once in a while things burst into flames and you need a firehose. In those situations, Peter Boockvar has a pretty good one. You should visit his website and get a free trial. Then subscribe if it fits your needs – or come back later when you smell smoke. CAMBRIDGE – The United States has a trade deficit of about $450 billion, or 2.5% of GDP. That means that Americans import $450 billion of goods and services more than they export to the rest of the world. What explains the enormous US deficit year after year, and what would happen to Americans’ standard of living if it were to decline? It is easy to blame the large trade deficit on foreign governments that block the sale of US products in their markets, which hurts American businesses and lowers their employees’ standard of living. It’s also easy to blame foreign governments that subsidize their exports to the US, which hurts the businesses and employees that lose sales to foreign suppliers (though US households as a whole benefit when foreign governments subsidize what American consumers buy). But foreign import barriers and exports subsidies are not the reason for the US trade deficit. The real reason is that Americans are spending more than they produce. The overall trade deficit is the result of the saving and investment decisions of US households and businesses. The policies of foreign governments affect only how that deficit is divided among America’s trading partners. The reason why Americans’ saving and investment decisions drive the overall trade deficit is straightforward: If a country saves more of total output than it invests in business equipment and structures, it has extra output to sell to the rest of the world. In other words, saving minus investment equals exports minus imports – a fundamental accounting identity that is true for every country in every year. So reducing the US trade deficit requires Americans to save more or invest less. On their own, policies that open other countries’ markets to US products, or close US markets to foreign products, will not change the overall trade balance. The US has been able to sustain a trade deficit every year for more than three decades because foreigners are willing to lend it the money to finance its net purchases, by purchasing US bonds and stocks or investing in US real estate and other businesses. There is no guarantee that this will continue in the decades ahead; but there is also no reason why it should come to an end. While foreign entities that lend to US borrowers will want to be repaid some day, others can take their place as the next generation of lenders. But if foreigners as a whole reduced their demand for US financial assets, the prices of those assets would decline, and the resulting interest rates would rise. Higher US interest rates would discourage domestic investment and increase domestic saving, causing the trade deficit to shrink. The smaller trade deficit would help US exporters and firms that now compete with imports. But a decline in the trade deficit would leave Americans with less output to consume in the US or to invest in the US to produce future consumption. And that is only part of the story. In addition to shrinking the remaining amount of goods and services available to US households and businesses, reducing the trade deficit requires making US goods and services more attractive to foreign buyers and foreign goods less attractive to US buyers. That means lower US export prices and higher import prices, brought about by a fall in the value of the dollar. Even with the same physical volume of national output, the value of US output to domestic consumers would fall, because the US would have to export more output to obtain the same value of imports. Trade experts estimate that reducing the US trade deficit by one percent of GDP requires export prices to fall by 10% or import prices to rise by 10%. A combination of these price changes is about what it would take to shrink the current trade deficit by 2% of our GDP, bringing the US close to trade balance. But, because US exports and imports are 15% and 12% of GDP, respectively, a 10% decline in export prices would reduce average real (inflation-adjusted) income by 1.5%, while a 10% rise in import prices would reduce real incomes by an additional 1.2%. Thus, eliminating the trade deficit would require shifting about 2.5% of US physical production to the rest of the world, as well as a change in export and import prices that reduces their real value by another 2.7% of GDP. In short, with no change in the level of national output, Americans’ real incomes would decline by about 5%. Over the longer run, the growth rate of national output depends on what happens to overall US investment in plant and equipment. If the trade deficit shrinks because consumption rises and investment falls, the lower level of investment would cause the growth rate to decline, further decreasing the long-run level of real income. But if the trade deficit narrows because households save more and government deficits are reduced, it is possible to have a higher level of investment – and thus higher incomes in the long term. So changes in America’s saving rate hold the key to its trade balance, as well as to its long-term level of real incomes. Blaming others won’t alter that fact. Americans’ divisions over the policies of President Donald Trump may not be weighing on stocks, but the economy could be another matter. Mr. Trump is completing his first 100 days in office with the lowest job-approval rating for a new president in the history of Wall Street Journal/NBC News polling. Even so, he continues to receive high ratings from his fellow Republicans. It is a phenomenon that extends into people’s assessment of the economy. The University of Michigan’s ongoing survey of consumers shows that Americans’ outlook has improved since the election, but that has been largely driven by Republican optimism. Democrats are deeply pessimistic about where the economy is headed. But with stock indexes dancing near all-time highs, investors seem indivisibly bullish on where the economy is heading. Part of the reason for that might be that investors skew more Republican than the average American. Another might be that, when there are deep disagreements in the stock market, bearish investors often retreat rather than fight. Betting against stocks is more difficult and costly than betting on them. 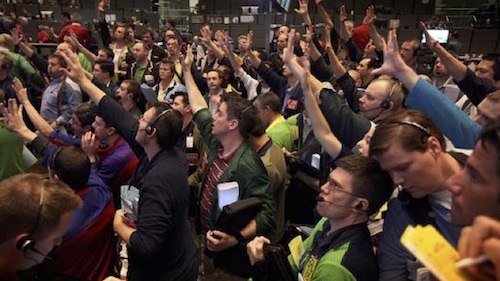 That can leave the bulls, and traders angling to ride their optimism, in charge of the market. When it comes to consumer spending, however, there may be a different dynamic at work. First, the spending of the on average poorer and younger people who identify as Democrats may be more responsive to shifts in confidence than Republicans. Economists at the Federal Reserve Bank of Chicago, for example, have found that drops in sentiment appear to affect poorer households’ spending more than richer households’ spending. Presumably, that is because the poor hold fewer assets to help cushion the blows of a bad economy—something true of younger Americans as well. But even if the roles were reversed, the pessimists might exert more of an influence than the optimists. Because worries about future financial losses tend to motivate people more than hopes for future gains, the pessimists have more of an incentive to step up precautionary saving than the optimists do to step up spending. If so, the overall rise in confidence measures may be illusory with the division between economics optimists and pessimists amounting to no more than a wash. Bullish investors could one day wake up to realize that stock market valuations have left the economy behind. On the other hand, people are still shopping, just in different ways. And the shift from brick-and-mortar stores to “online malls” has many consequences we don’t even understand yet. For example, it’s becoming clear that online retailers aren’t shy about using our own data against us. What do you call a market in which the price you pay depends on who you are? On the surface, online shopping seems to favor shoppers. It’s easy to compare prices, shipping cost and time, sales tax, and other factors to get the best deal. Retailers have to offer lower prices to make you buy, right? In other words, online retailers are now comparison shopping us. Amazon and others are learning how to dynamically adjust prices based on where you came from, what you bought in the past, where you live, what time of day it is, and even the current weather in your zip code. If you ever took an economics class, you know about the law of supply and demand. It’s how the market sets prices. Low supply and high demand lead to higher prices. High supply and low demand push prices down. That applies whether the goods are groceries, books, stocks, or anything else. Every product has an equilibrium price. 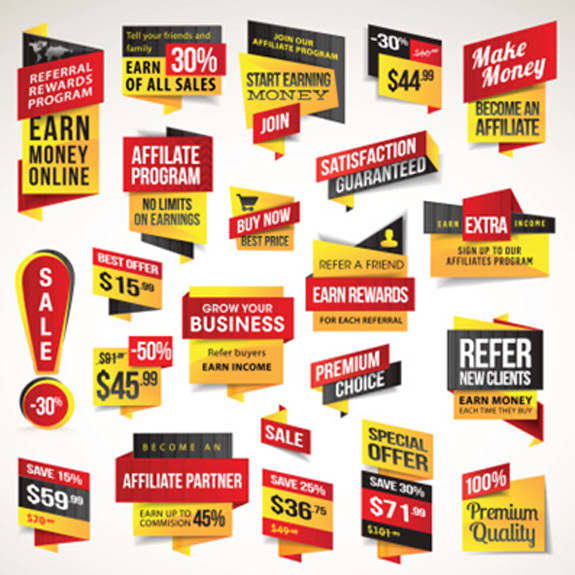 Online retailers are pushing this idea to its limits. They’ve figured out that consumer demand is both individualized and dynamic. Not every person demands a product with equal intensity. Maybe you really want that history textbook because you are enrolled in a class that uses it. You will pay more than someone who just wants to accessorize their living room. Your demand also changes with time. You want the book more now than you did last month, before you enrolled in the class. You won’t want it at all after the semester ends. Since the emergence of online malls, it’s become much easier for retailers to manipulate your demand. They used to do this with limited-time discounts, buy-one-get-one offers, etc. But they all had a common basis in the product’s “list” price, which didn’t change very often. Just like stock prices change by the minute, online shopping is moving toward a similar pattern… but even more chaotic. Stocks still have consolidated tickers—everyone can see the most recent price and decide whether to trade or not. In retail, the concept of a “list price” may lose its meaning entirely. Your price for a widget will be different from my price, and both our prices could change again in a few minutes. Who wins in that environment? A free and open market ought to be a more efficient one, if everyone has access to the same information at the same time. But that isn’t the case now, and it may be even less so in the future. 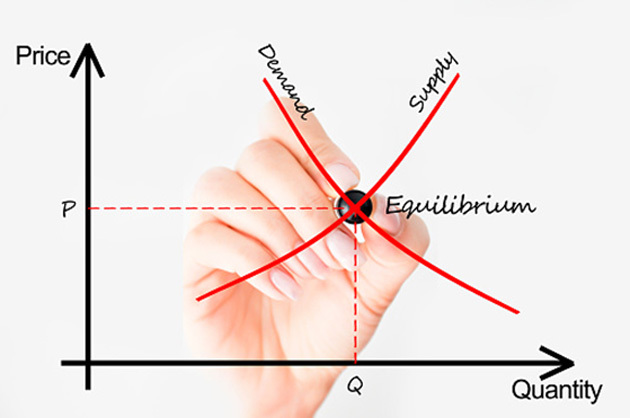 “Equilibrium” in this context may mean we never know what the true value of a given product is. We’ll only know how much we paid. However, I think the “digital malls” connecting online retailers and customers will perform well as the new environment takes shape. Amazon is one such company. Many other retailers use the Amazon web platform and its logistical network to power their online sales. My co-editor Robert Ross and I recently recommended another online retailing technology provider in Macro Growth & Income Alert. We told subscribers how to sell put options for both current income and a chance to buy the shares at a lower price. 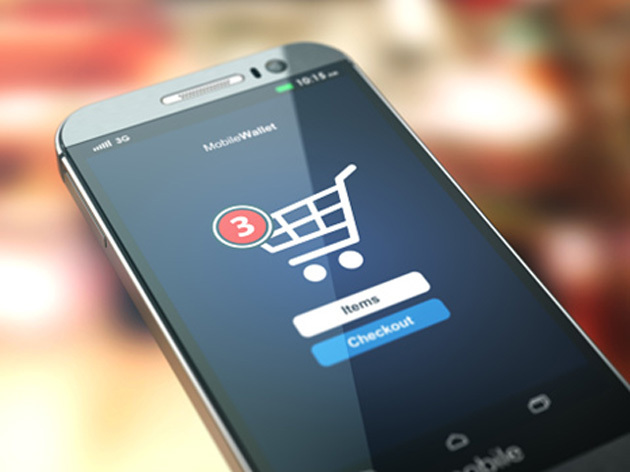 That’s only the latest in what should be a string of opportunities as consumers and retailers adjusts to a new landscape. It will be a wild but interesting ride. Have you been to Miami recently? If you have, it would be easy for you to think that the city was experiencing some sort of magical real estate boom. And why wouldn’t you? Construction cranes dot the city’s skyline. Surely this is a sign of a healthy market, right? Well, not exactly. You see, construction cranes only tell us about supply. They don’t say anything about demand. And right now, demand for condos in Miami is plummeting. In February, condo sales fell 10%. Single-family and existing home sales also fell 10%. Now, it’s perfectly normal for real estate markets to pull back every once in a while. 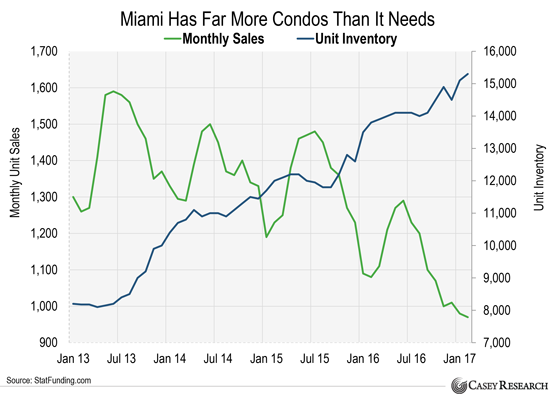 But that’s not happening in Miami, where demand for condos has been falling since 2013. The blue line shows the total number of condo units in Miami-Dade County. The green line tracks how many condos have sold in Miami each month. You can see that monthly sales (demand) are down more than 30% over the last four years. Yet unit inventory (supply) has nearly doubled since the start of 2013. Miami has far more condos than it needs. The city’s condo market is now starting to implode. I’m not the only one sounding this alarm, either. Building inventory and declining sales usually result in downside pricing pressure. Preconstruction condo developers, flippers, and existing condo resellers should expect pricing pressure to accelerate. This is a major warning. But it’s not being taken seriously. 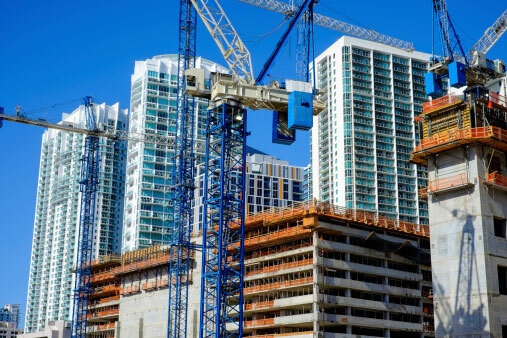 If it were, more than 11,000 new condos wouldn’t be scheduled to hit Miami’s market by 2018. That’s about 70% more condo units than Miami already has. This is going to be like pouring jet fuel on a raging fire. And yet speculators continue to “flip” condos across the city. Flipping is when you buy a property with the goal of quickly reselling it for more than you paid for it. It’s extremely speculative, and the type of thing you usually only see when a real estate bull market is coming to an end. It’s happening all across Florida, Las Vegas, and Atlanta. It’s also happening in small U.S. cities like Fresno, California and Tacoma, Washington. According to real estate site Trulia, more than 6% of home sales last year were “flips.” These are properties that have sold at least twice in the past years. That’s up 5.3% from a year ago. More importantly, we’re now seeing the highest level of flipping activity since 2006…which was the peak of the last housing bubble. This is a big deal. It tells us that the U.S. housing market is likely in the late stages of a bull market. This chart shows the Case-Shiller U.S. National Home Price Index, which tracks home prices across the country. You can see that this index has surged 38% since 2012. It’s now trading at a record high. 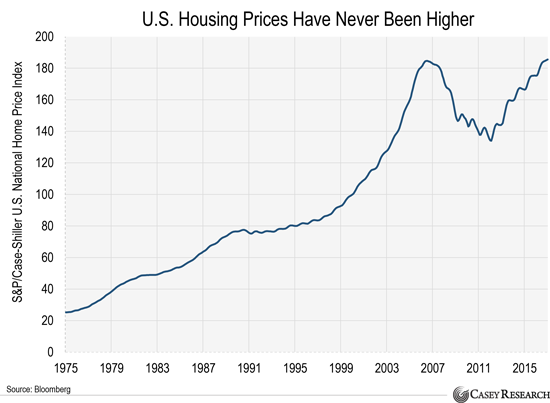 Here’s more proof that the U.S. housing market is closer to a top than a bottom. The chart below shows the NAHB/Wells Fargo National Housing Market Index. This index measures the mood of U.S. homebuilders. A high index level means home builders are very optimistic. You can see that this index is at the highest level in 12 years. Some people might see this and think now’s the time to buy a house. But optimism usually peaks just before a market tops out. 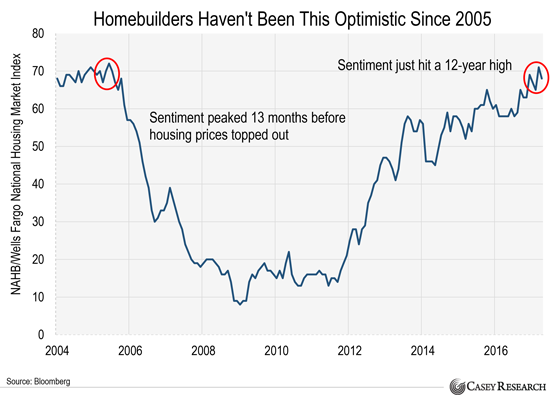 In fact, home builder sentiment peaked just 13 months before housing prices topped out in 2006. U.S. home prices went on to plunge 27%. In many places, prices fell so much that people lost their homes to foreclosure. Now, I’m not saying that the U.S. housing market is going to crash tomorrow. But it is clear that the easy money in housing has already been made. You should also be careful if you own any housing stocks. Use stop losses. A stop loss will automatically sell a stock when it falls below a certain level. It allows you to stay in stocks without exposing you to big losses. If you’re not familiar with trailing stop losses, click here. Don’t average down. 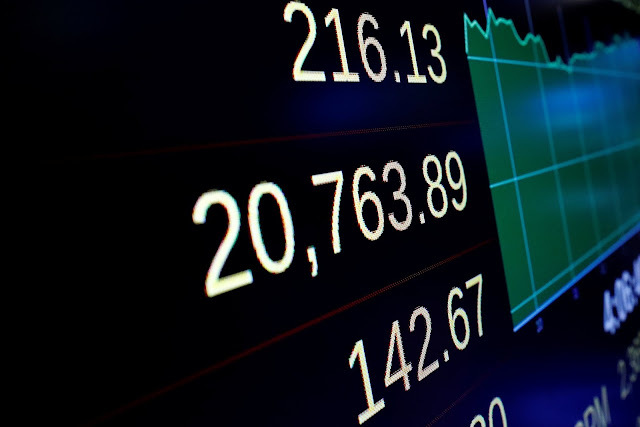 Averaging down is when you buy more shares of a stock when it falls in price. A lot of investors do this to lower their average cost per share. But this strategy often leads investors to ride losers down.